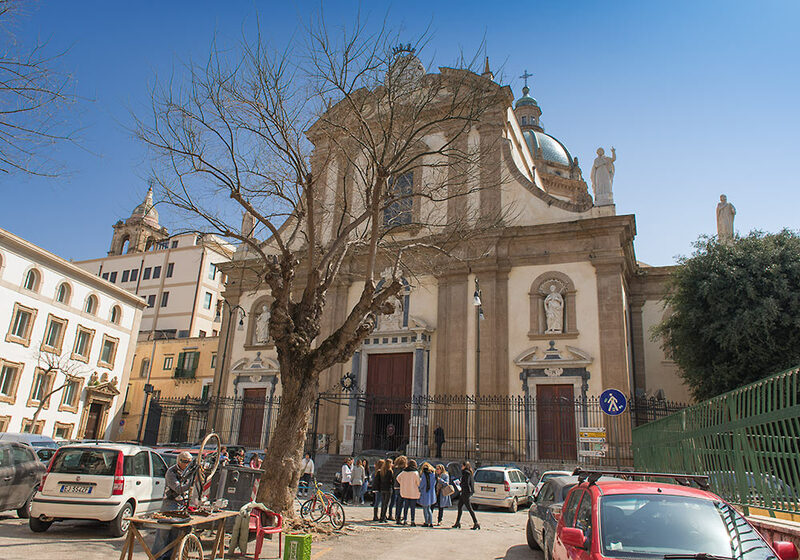 The Church of the Gesù is one of the most important Baroque churches in Sicily. 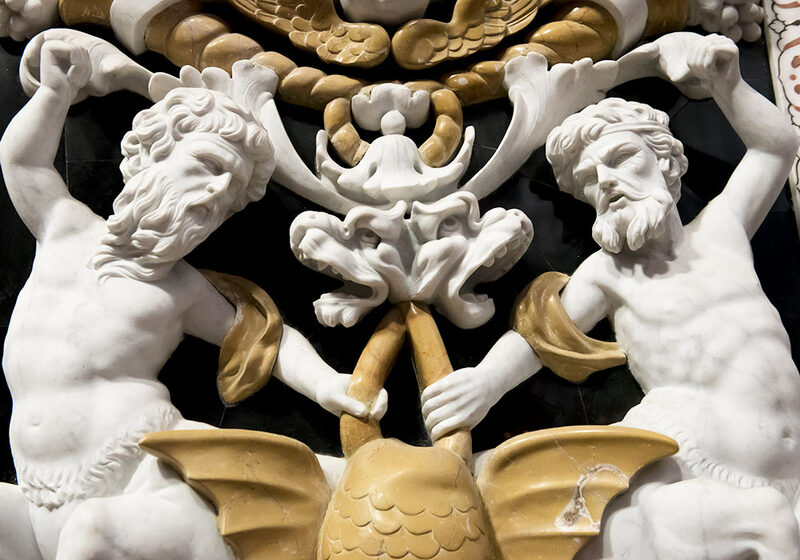 Detail of the ceiling in the Church of the Gesù (also known as Casa Professa) in Palermo, the first church to be erected by the Jesuits in Sicily (1564-1633). 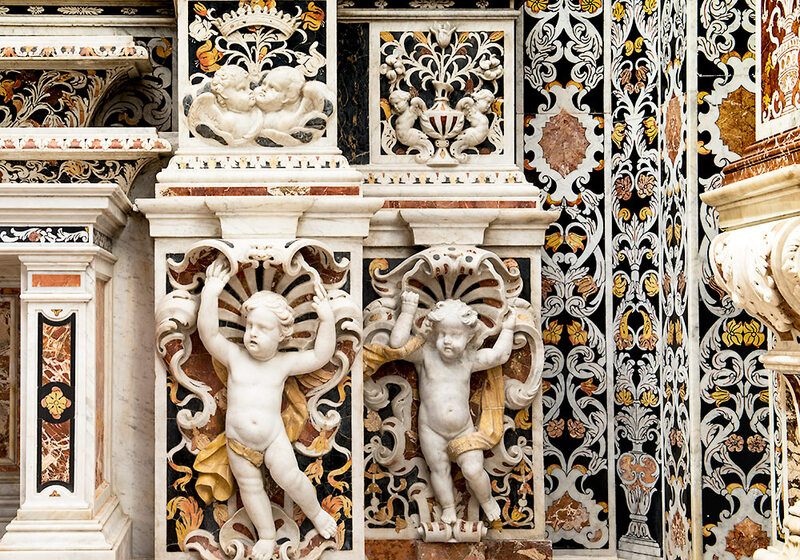 The marble reliefs with their figural and ornamental motifs in the Church of the Gesù (Chiesa del Gesù) are truly amazing. 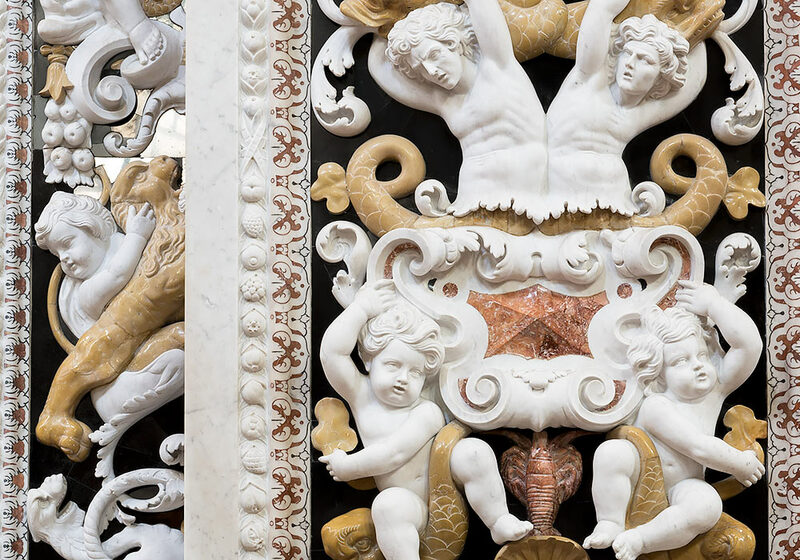 More incredible decorations in the Church of the Gesù (Casa Professa). 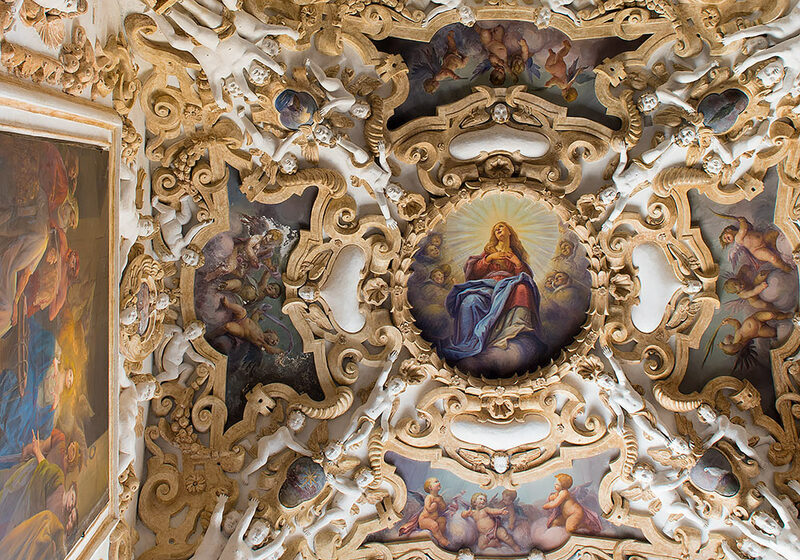 Decorations in the Church of the Gesù (Casa Professa). 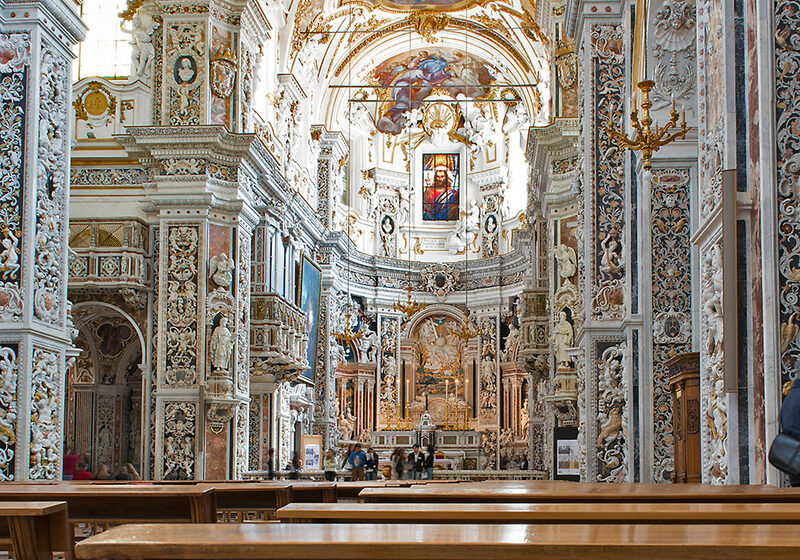 The jaw-dropping interior of the Church of the Gesù (Casa Professa). 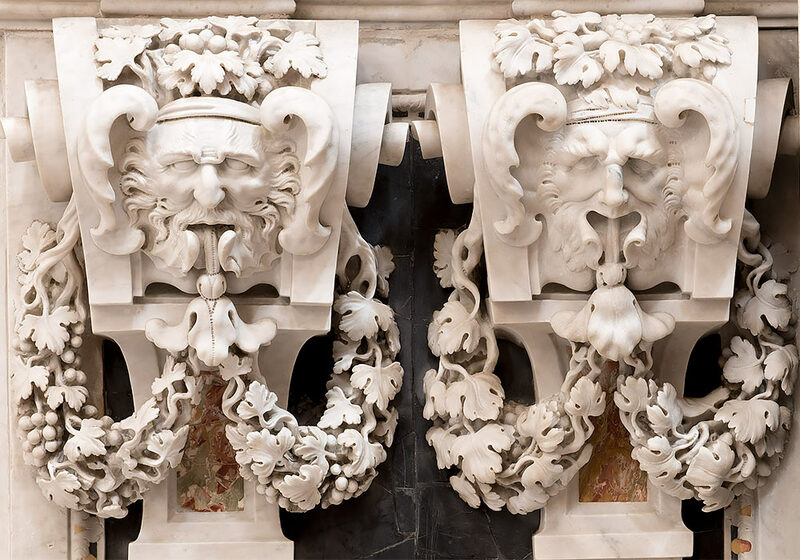 Goethe, though, hated the lavish decorations when he visited Palermo in 1787. Chiesa del Gesù, Piazza Casa Professa, 1. 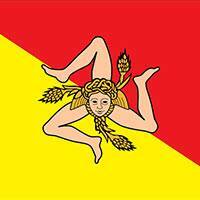 The Church of the Gesù is also known as Chiesa del Gesù, Church of Saint Mary of Gesu, Chiesa di Santa Maria di Gesù or Casa Professa.